We, Indians tend to celebrate many festivals during the course of an year. Its diversity in terms of people, religions, traditions and cultures gives us a chance to ritualize each and every happiness with a lot of gusto. The first festival of the year, which signifies the celebration first harvest (of especially rice from the paddy fields) is - Sankranthi or Pongal (as it called in the southern part of India) - a perfect time for family gatherings, super delicious foodie treats, beautiful rangolis sketched in courtyards and of course kite flying which used to be my favorite thing to do all my childhood. I was pretty darn good at it, giving a good fight to the boys! ;-). It is a scenic splendor to watch the blue sky dotted with numerous kites of varied colors and shapes. Ah! how much I miss those lovely, carefree days. There are many recipes that are made especially for this festival. Milk puddings are a must. 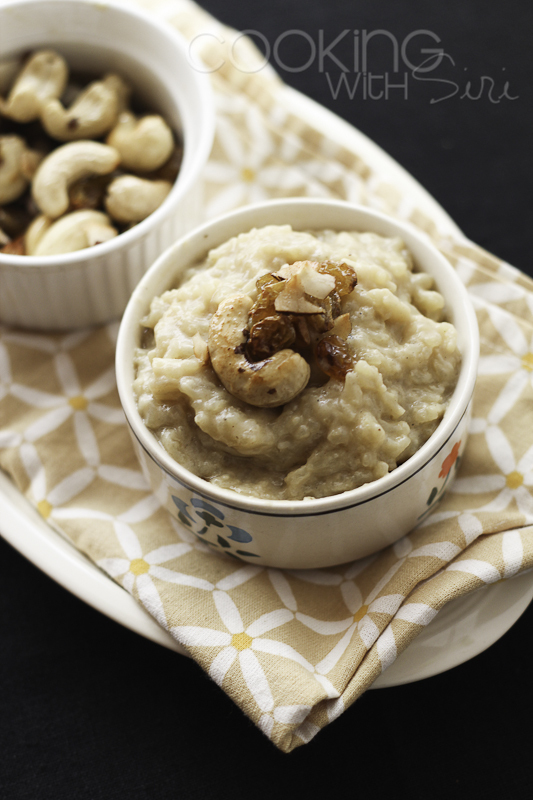 Today, am going to share a rice pudding recipe sweetened with jaggery. Its called Bellam Paramannam in Telugu and my family absolute beloved dish. Serve it warm or cold, it taste lip smacking! 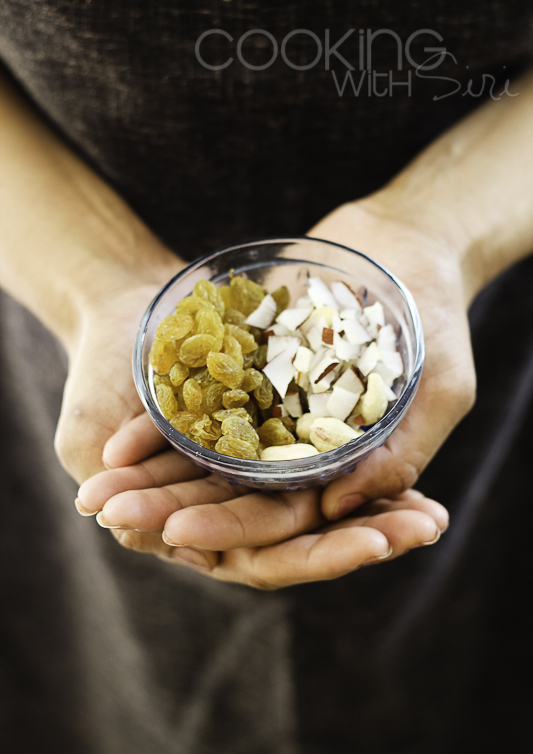 1/2 cup in total - raisins, chopped cashewnuts and dried coconut pieces. Step 1. 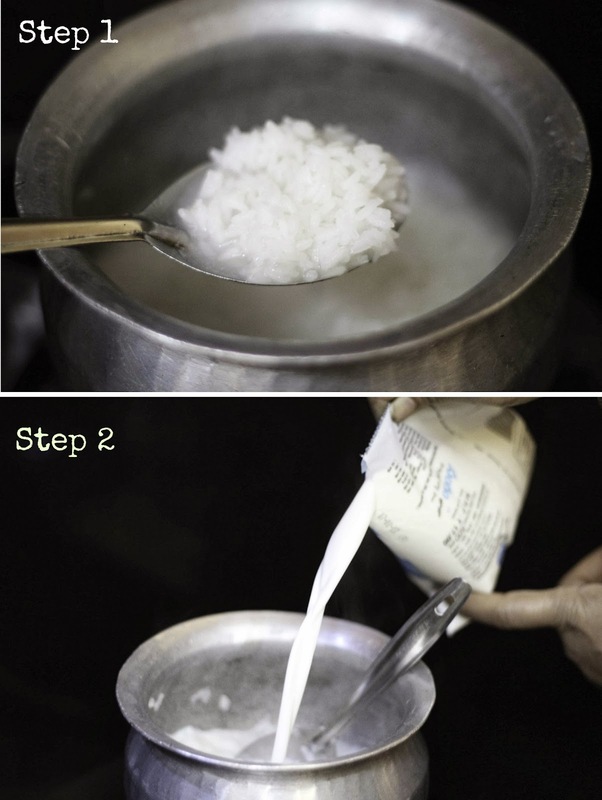 Cook 1 cup of rice with 2 cups of water until fork tender. Step 2. Add milk. Mix well. Simmer for 5 mins, stirring frequently. Step 3. Turn off heat. 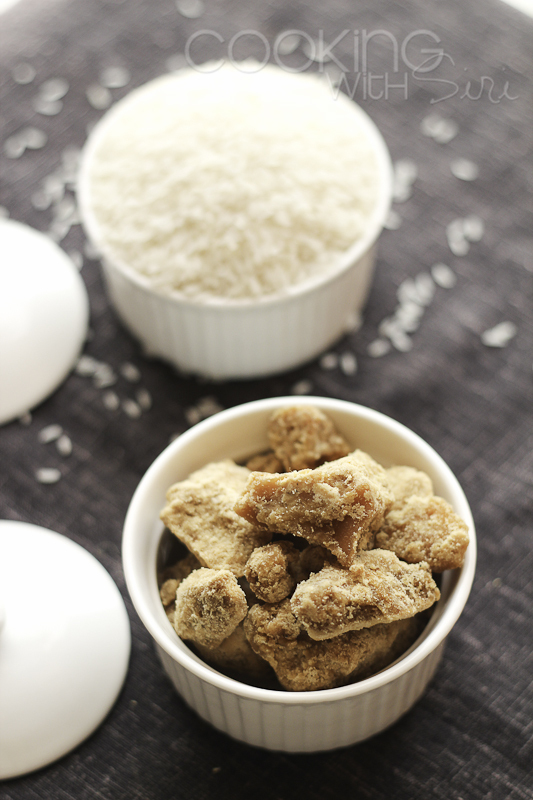 Add powdered jaggery. Mix once. Cover. Mix again after 5 mins. Step 4. Melt ghee in a small kadai. Add raisins, cashew nuts and coconut pieces. Fry until light golden brown. 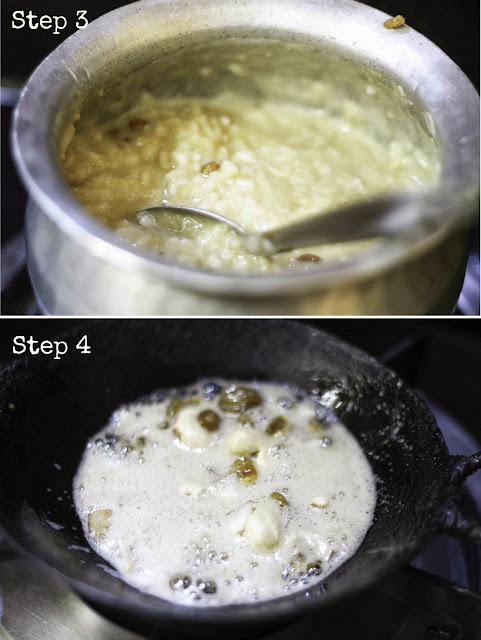 Add the contents in to the jaggery pudding. Stir well and let it cool a bit. Serve. 1. Don't boil pudding once jaggery is added otherwise there is a risk that the milk will get curdled. 2. Save the left over pudding in the fridge and the next day reheat it with a cup of milk as it tends to thicken a bit and its ready to be devoured, for that sinful second serving! Wishing you a very Happy and Prosperous Sankranthi. Have fun everybody! 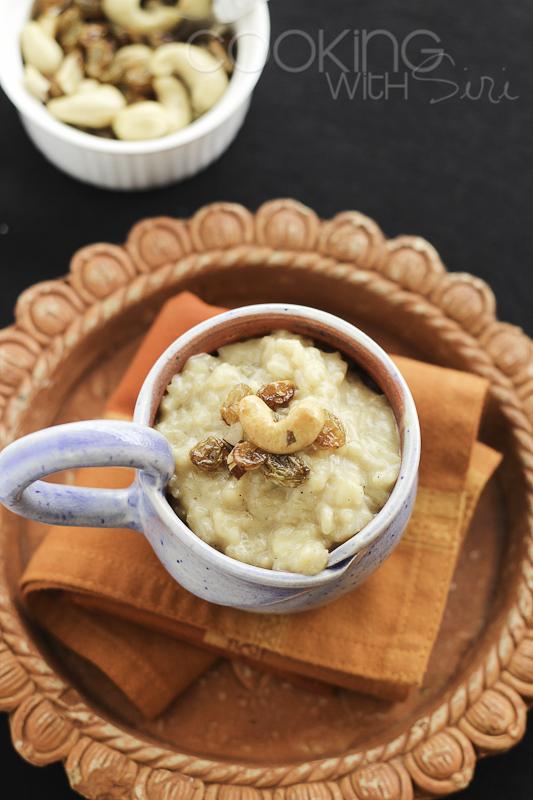 My fav Sakkarai Pongal, looks nice. Happy Pongal.